Dr Nina Seega, Research Director for Sustainable Finance at the Cambridge Institute for Sustainability Leadership, launched ‘It’s Our World’ with an inspiring and perfectly pitched presentation focusing on ‘What is Sustainability?’ and the United Nations Sustainable Development Goals. The population statistics she presented gave us much food for thought and she left us feeling encouraged with her five relatively achievable top tips. Dr Seega made a second visit, later in the week, when she worked with Year 5 pupils on Climate Change. 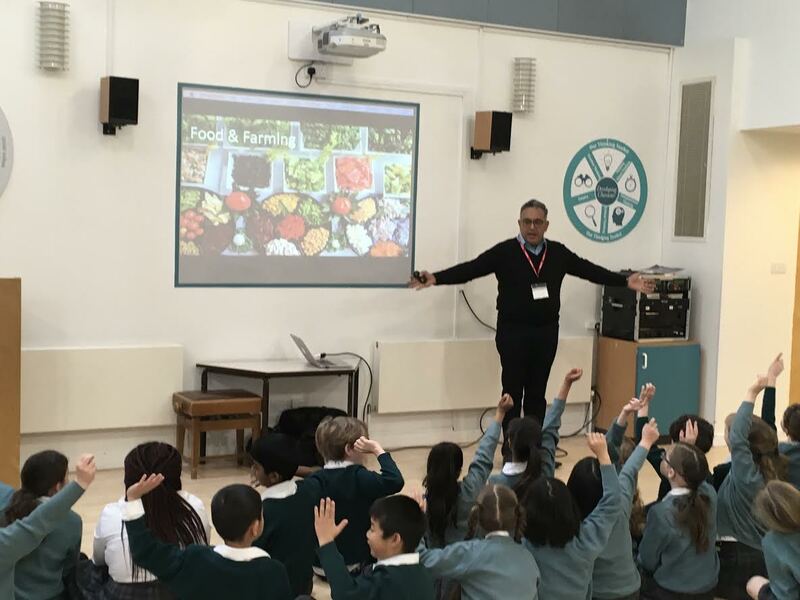 Mr Munish Datta, Senior Associate at the University of the Cambridge Institute for Sustainability Leadership (CISL), also made two visits - firstly to work with Year 4 pupils on Food and Farming, and secondly as a member of our ‘Panel of Experts’. 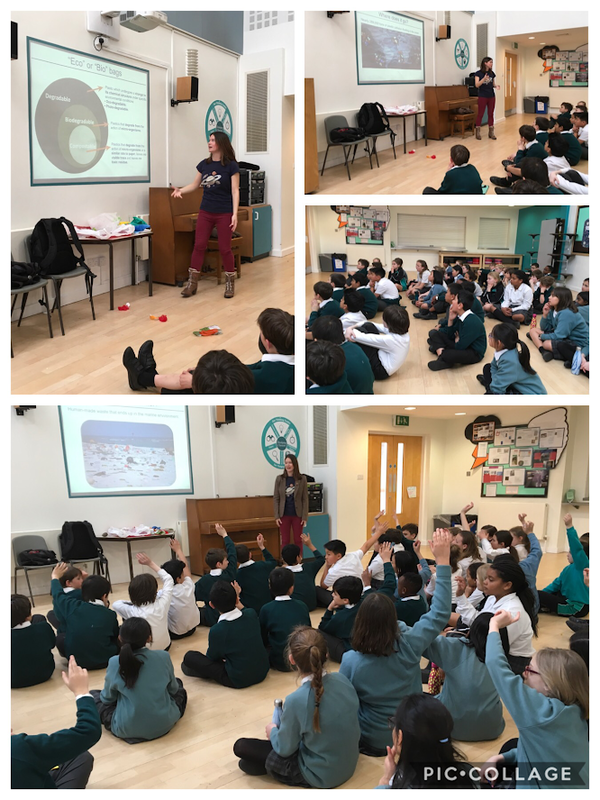 We are most grateful to them both and also to Dr Dannielle Green, Ecologist and Lecturer at Anglia Ruskin University, for talking to Year 6 pupils about the huge problem of plastic pollution. 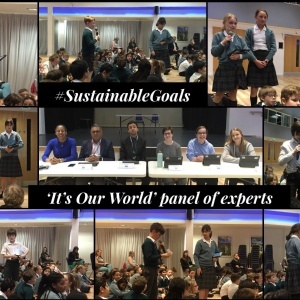 On Monday afternoon we all walked over to the Senior School for a special ‘Panel of Experts’ event to round off ‘It’s Our World’. In the week prior to the event, the pupils were all given a short biography of each panel member and invited to generate some questions for them. Once everyone was settled in the Hall, the panel members were introduced by Neha. Ms Cindy Forde ran the BLUE Marine Foundation and Cambridge Science Centre then founded a company called Planetari. Mr Munish Datta worked on Marks & Spencer’s sustainability strategy before joining CISL, he is a member of the government ‘Green Construction Board’, advising the property industry to become more environmentally sustainable, and is a trustee of Rama Foundation, a charity helping disadvantaged communities. These visitors were joined by Mr Tim Pegler, Curriculum Leader of Geography in our 11-18 schools, and three students from our Sixth Form College. Mr Pegler became a Geography teacher because of his interest in environmental issues, especially climate change. He has also done some environmental conservation work, surveying coral reefs in the Philippines to monitor their health. Madeleine is studying A Level Geography and, having recently learnt about Bangladesh, she is keen to work towards stopping the effects of climate change, especially on a vulnerable population. Charlotte is interested in Geography due to how it explains the relationship between people and the world. She finds it fascinating how it can be related to any situation and feels that, by understanding the true impacts which we have on our world, we may be able to make more appropriate decisions and hopefully save our planet. Emma is studying Geography for higher level IB because she is really interested in how we can achieve sustainability - especially considering environmental issues such as climate change - and what strategies countries are already using to do so. Neha and Loic, both members of Year 6, were outstanding compères throughout the fast paced session. Deftly juggling their iPad and a microphone, they flew swiftly between pupils posing the questions and members of the panel responding. Each panellist was closely quizzed on their specialist interest and you could hear a pin drop, thanks to the attention and concentration of every pupil in the room. All too quickly the 45 minute session came to an end. 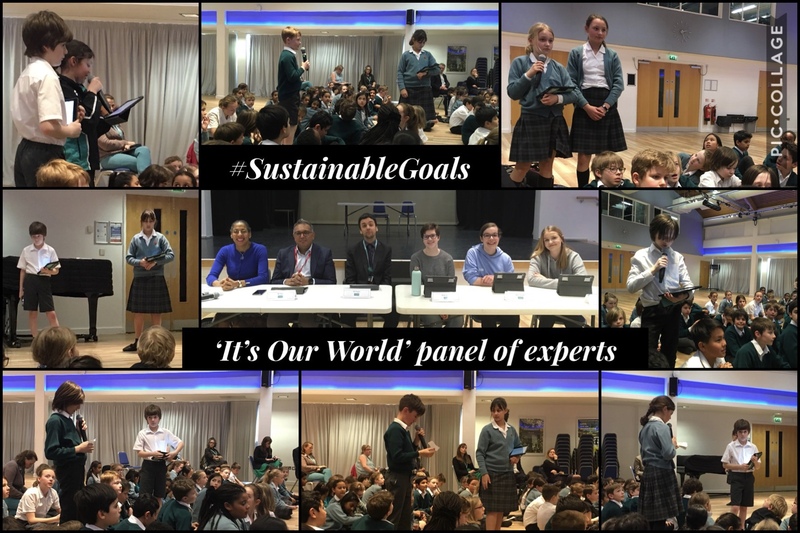 The last question, posed by Lili and Elodie, was addressed to all six members of the panel: ‘Which one of the UN sustainable goals do you think is the most important?’ This was a tough one and there were six different answers, of course, but Mr Pegler’s brought proceedings to a fitting conclusion as he reminded us that the goals are so interconnected and suggested that we think of the world as a ‘source’ rather than a ‘resource’. As the session was wrapped up, Loic thanked panel members for their thought provoking responses and the members of the audience for using their thinking skills to generate such curious and reflective questions. 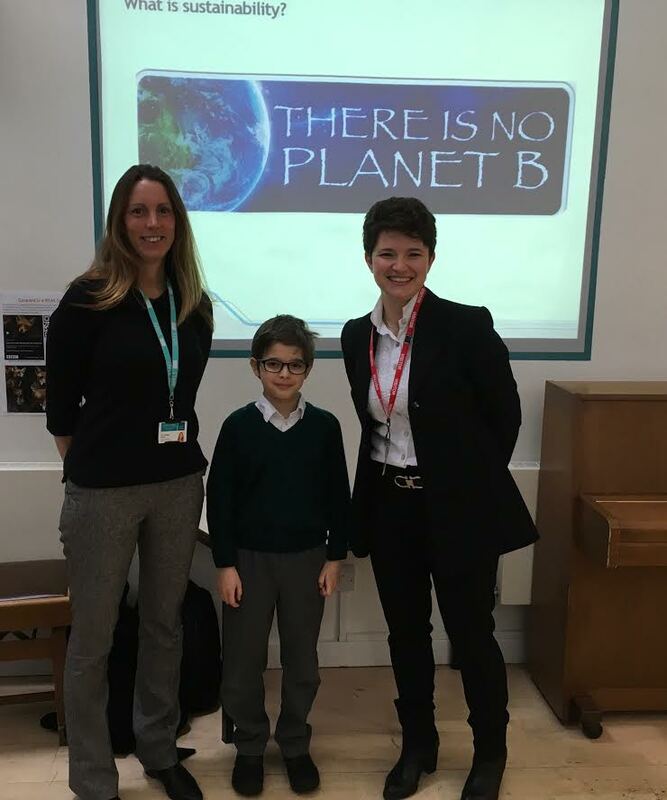 We returned to the Junior School looking forward to putting into action the small changes that should help create a more sustainable world.